Our new Handi-Quilter machines have arrived! 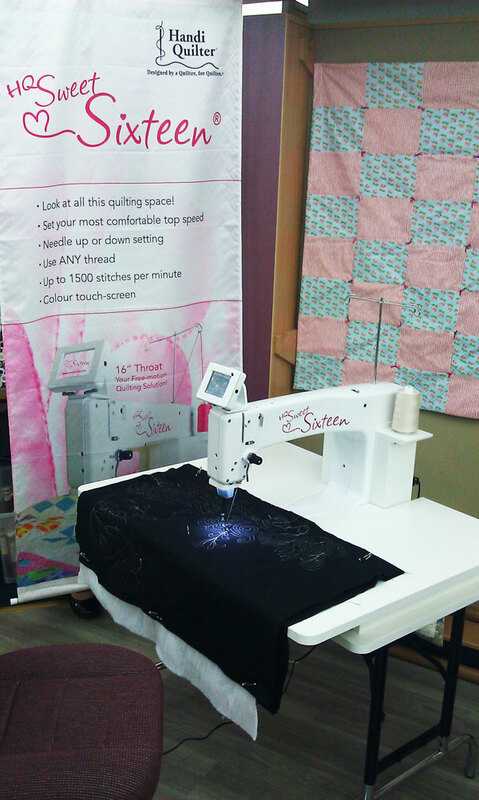 Come around to Hobbysew Top Ryde City and have a look at two of our latest additions to our sewing machines family. Price: POA – Please contact Hobbysew Top Ryde City for price. 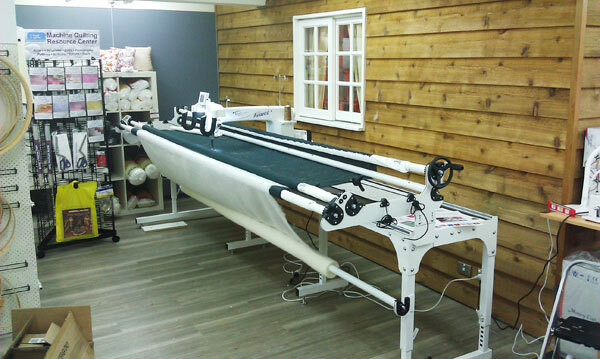 We also hire out the machines to be used in store for your own quilting. Please contact Hobbysew Top Ryde City for more information. You may know her as the winner of the Victorian Quilters Fabric of Society Challenge but Linda White is a dairy farmer first and foremost. “I milk in the morning and then the shop hours are actually factored around milking time, 11am until 4pm and then I am home again for the evening milking.” The profile of Linda in the Weekly Times Now is more and more intriguing as you read on and you can read the full article here. 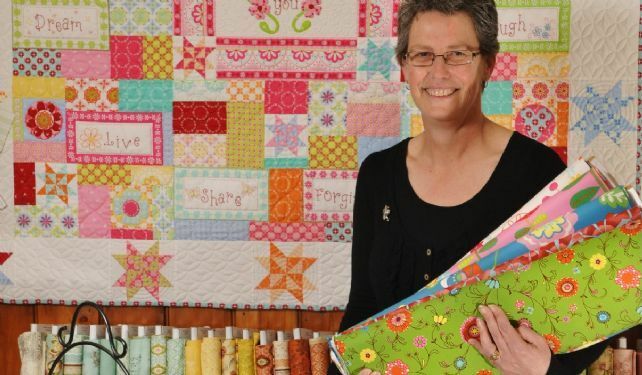 Long story, short: this inspiring Victorian runs Gum Valley Patchwork, a patchwork store nestled on a block at the corner of her and her husband’s dairy farm at Cooriemungle, near Simpson, in southwest Victoria. Linda’s story is one of hard work and passion and she eloquently reveals the part patchwork plays in the community. “A lot of ladies would be quite capable of stitching their projects at home… they treat it as a real social outlet, most of them are farming ladies who are working on the farm,” Linda says of the quilting classes she started teaching in 2007. 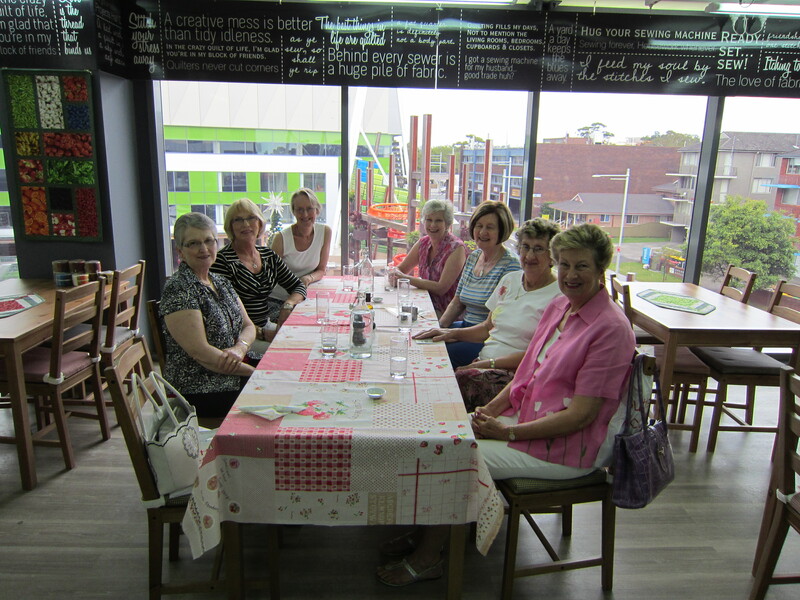 “They treat it as interaction with other ladies, a social day out and they get some sewing done and lots of laughing. And as for her award-winning quilt, “Dear Prudence”, it took 13 months to make and about 1300 hours and half a million stitches. There were only two days in that time when Linda did not work on the quilt. It measures 200cm from point to point and comprises 17,977 hexagons. No, that’s not a typographical error! 17,977 hexagons each measuring about 5 inches in diameter. The quilt is on display at Gum Valley Patchwork, 486 Princetown Road, Cooriemungle until it travels as part of the Brother International exhibition touring capital cities from April next year so look out for that! And in the meantime, if you’re looking for somewhere to laugh and chat and get some sewing done, our Hobbysew stores are just the place. Hobbysew Top Ryde recently hosted a special event for a group of friends and if you’d like to do the same, you’re most welcome! The group of friends were greeted by Victoria our store manager and treated to morning tea and a personal tour of what is a very impressive store. Even if we say so ourselves, the store at Top Ryde is spectacular! It is big and airy with views over the piazza. Best of all there is oodles of space to stock masses of fabrics, kits, sewing machines and storage units. And we even have our very own cafe within the store. So these ladies were delighted to be shown around the place. One lady commented “I haven’t sewn for 50 years but this has inspired me to start again!” That’s what we like to hear!!!! The ladies enjoyed a beautiful lunch and went away buzzing with delight. Take a look at their faces as they sit together at the cafe. So if you have a group of friends or colleagues who’d enjoy being treated like a VIP at the best patchwork and craft store around, why not give Victoria a call on 02 9877 5067? You can also click here to send an email requesting more information. We’d love to show you around! Posted in Belconnen, Classes, Make It! Here are some really inspiring words from a passionate sewer, Alison Kelly: ‘When I joined BurdaStyle as Editor and Creative Director, I met thousands of other people who share the same passion for sewing and fashion design. For many of us, it is the process of sewing, the journey of creating a garment from beginning to end, that’s so addictive, and the reward is being able to wear it. We all know how wonderful it feels to slip into your favourite dress—but imagine how you’d feel if you made the dress yourself? Chose the fabric and trim to suit your personal style? Made it fit like a glove? The feeling is extraordinary when you can dictate your personal style choices through dress and aren’t limited by trends or what’s available in your size. Now if that piece of wisdom has got you all inspired, why not take Marea Drayton’s class at Hobbysew Belconnen? In the ‘Connie Crawford Creations’ workshop, you’ll learn how to create a blouse that will be individually fitted to your own body shape and size using the Connie Crawford signature blouse pattern. It suits XS to 6X and all cup sizes. Construction tips will also be given for collars, buttonholes and more. 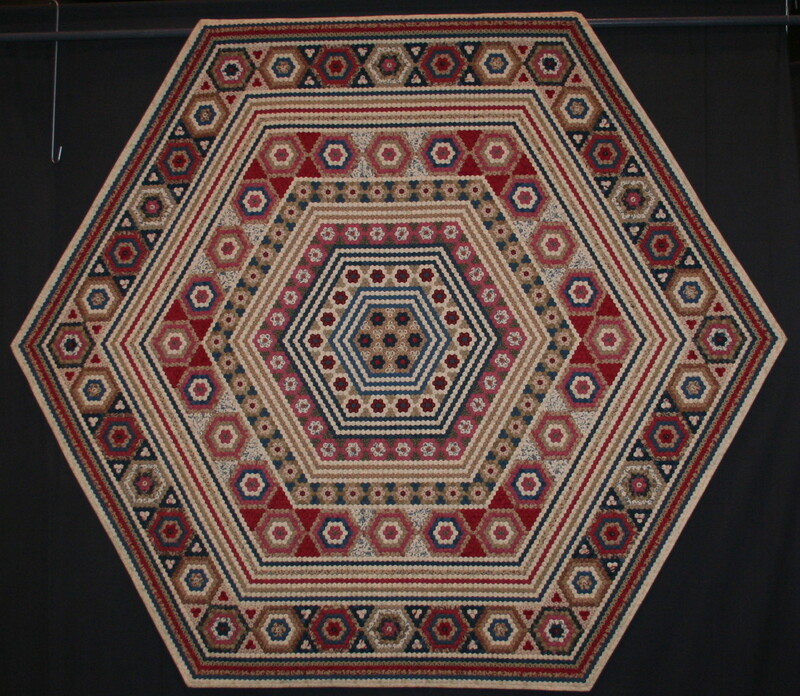 If you are interested in more about this exhibition of modern quilts click here. Here it is!!! 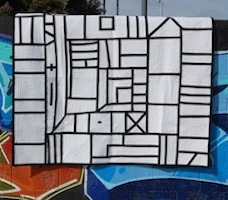 The Hobbysew Belconnen quilt for Quilt Aid. This is the work of the very talented ladies at Hobbysew Belconnen. 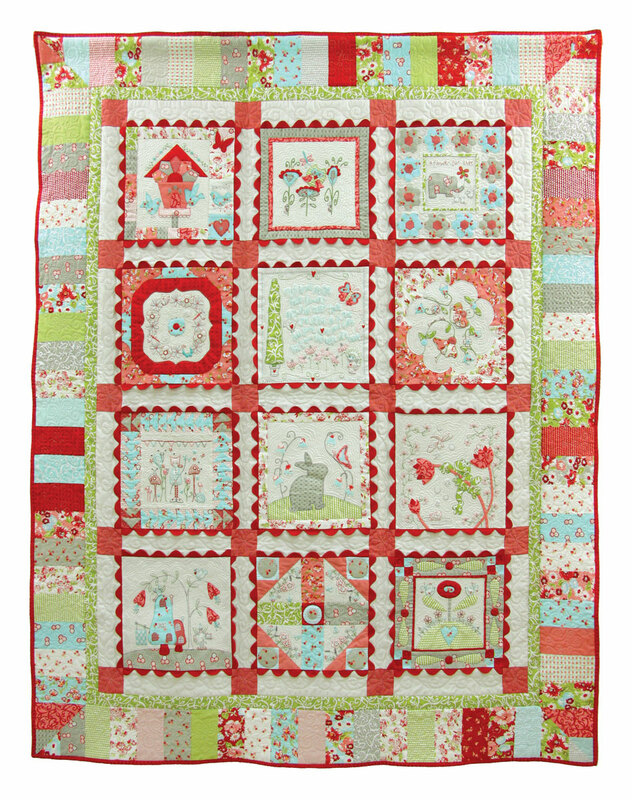 There is just so much scrumptiousness in this quilt! From the fabrics and quilting to the embroidered details and giant ric rac, this is a sensational piece. If you would like to see the real thing, it is at the Belconnen store. 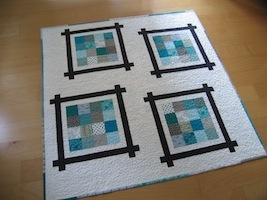 There are only a few finishing kits available so don’t delay if you have plans to make this beauty. 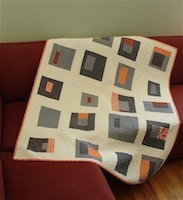 You’ll get enough fabric and ric rac to complete the quilt top and binding. And you have the option of purchasing extra fabric for the backing too. 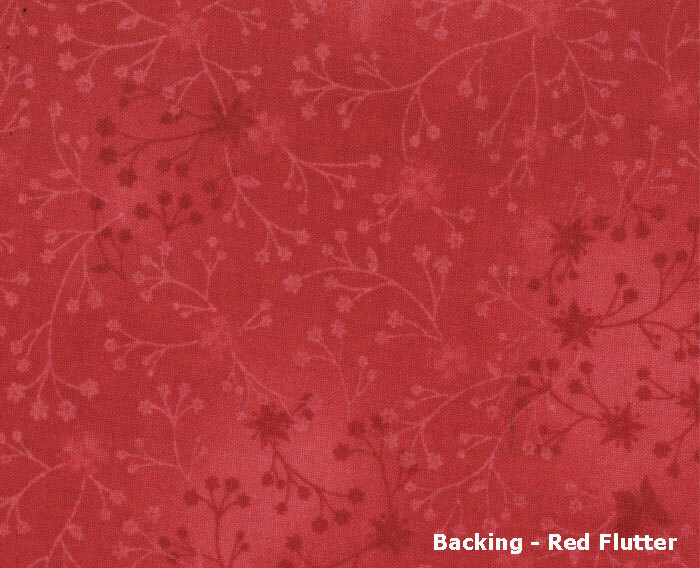 The backing fabric is our own range, Flutter, in red.